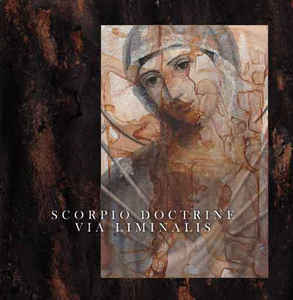 Scorpio Doctrine are a duo from Finland that plays a mixture of neo-folk, darkwave and martial and this is a review of their 2014 ep "Via Liminalis" which was released by Saturnal Records. A very dark and epic neo-classical sound starts off the ep along with some synths and acoustic guitars and a few seconds later clean singing neo-folk style vocals are added into the music and the synths make the music sound more epic as well as giving it the feeling of a fantasy movie soundtrack along with a medieval atmosphere. On some of the other tracks more traces of gothic and darkwave are added into the music and they also give the medieval style songs more of a modern day feeling and the ep sticks mostly to an epic synth, acoustic guitar and clean singing style of direction as well as being very slow and dramatic in sound and you can also hear violins being utilized at times..
Scorpio creates 4 very dark sounding neo-folk tracks that also brings in elements of darkwave, neo-classical and martial to create a sound of their own, the production sounds very dark while the lyrics cover Gnosticism and Occultism themes. In my opinion Scorpio Doctrine are a very great sounding mixture of neo-folk, darkwave and martial and if you are a fan of those musical genres, you should check out this ep. RECOMMENDED TRACKS INCLUDE "Dudael" and "The Wounded Healer". 8 out of 10.